looking good, but are you modeling only CGM2-550 or there will be simple M2(without that tripod attached) or maybe even M3? 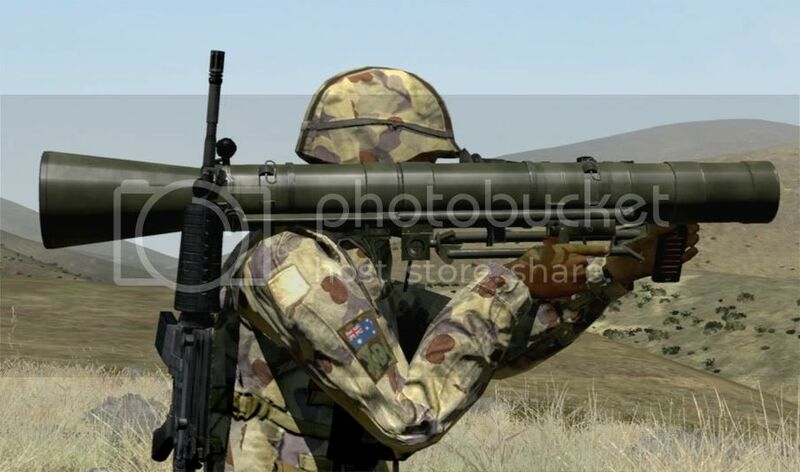 from what I have been able to see (will have to confirm) the ADF is only using the tripod now and have ditched the bipod, im assuming this is because it cant be folded away and would become pretty awkward in a vehicle. 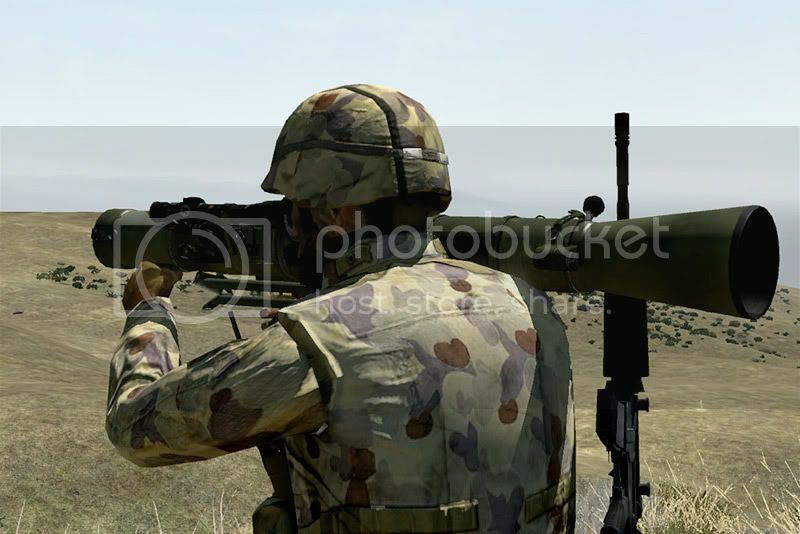 When fired on flat surfaces the weapon is normally supported by a bipod attached in front of the shoulder piece. 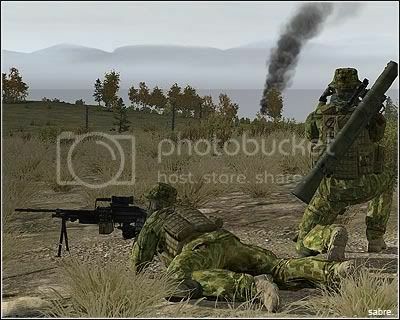 Swe version looks a bit differnt, mostly the "tripod"
thats all well and good but those certainly are not Australian Defence Force personal. grrr, were was my curious mind when i had opportunity to play with m3... i could have tried to remove that bipod >.< instead of examining optics, realoading, weight and shape of it. Oh, and good work on the CG thar. If you guys find any more pictures of the MCBAS (especially the rear), chuck them my way, eh? 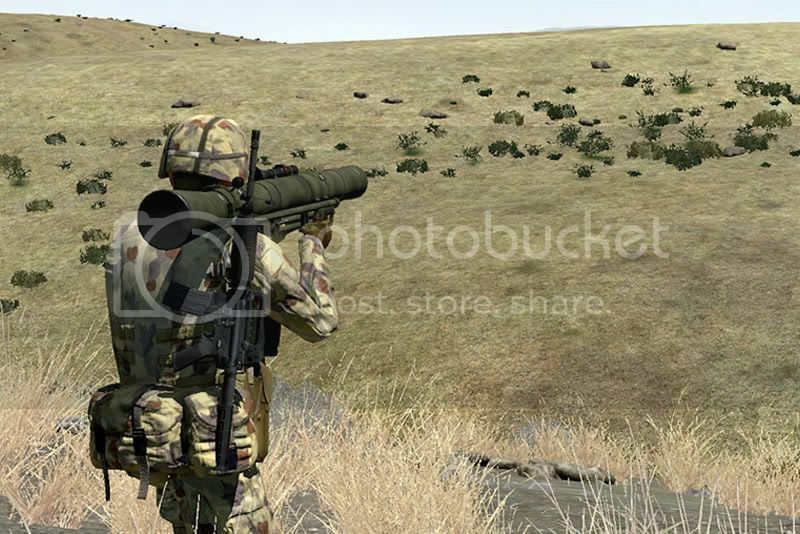 Another shot with the L14A1 SRAAW ingame and the placeholder F89 with ELCAN. i saw a banner from your post.. these men looks like they using the danish uniform.. is that right ?? Is that AU soldier on the pix downloadable? Looking good soldier. 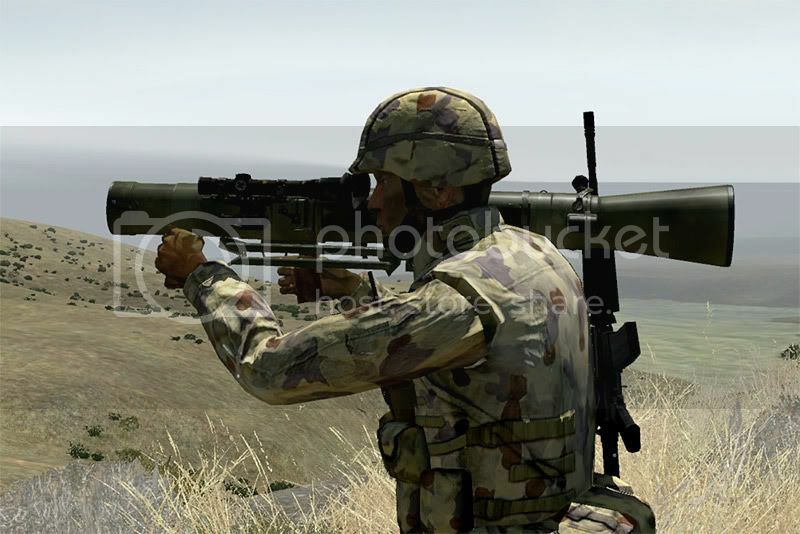 Just one question, why are you making the F88A1 when no-one in the army is using them anymore? 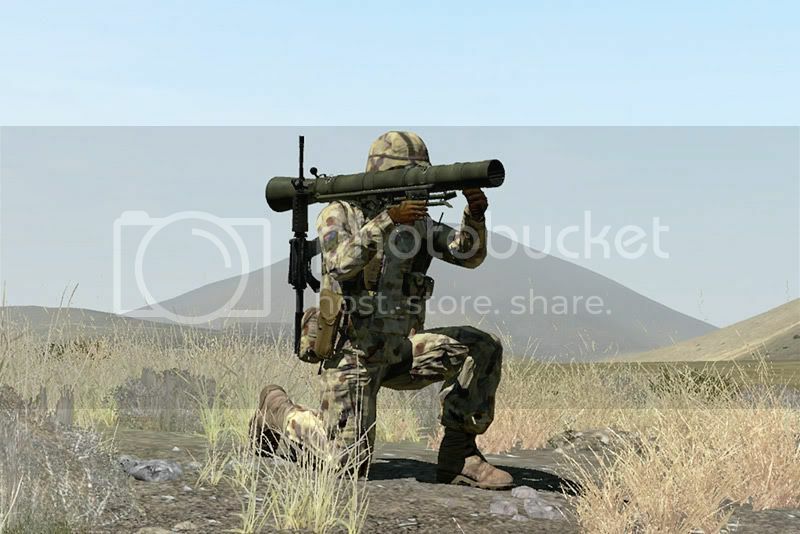 Every is using either the F88S-A1 or the new updated 'desert looking' F88S-A2?